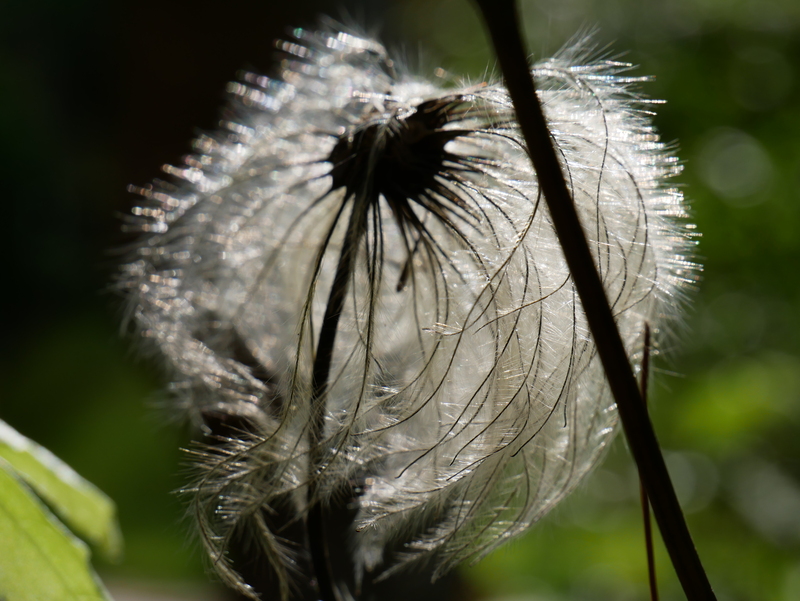 Clematis seed heads look fantastic in the low autumn light. While flowers are attractive it is important to think about the whole flowering cycle when working in your garden. If you simply remove the old flowers you will not allow the seeds and seed heads to develop and display them selves. Sometimes it is best to remove the old flowers to prevent spread of some rampant species such as Briza and Alchemilla. The work of a gardener is exciting and challenging at the same time. Understanding lifecycles and general growing requirements of plants is possibly the most important skill in the gardeners locker. Take a look at this article in the Telegraph to read more about the dilemmas of removing spent flowers.